Oasis, Warehouse and Coast for sale? 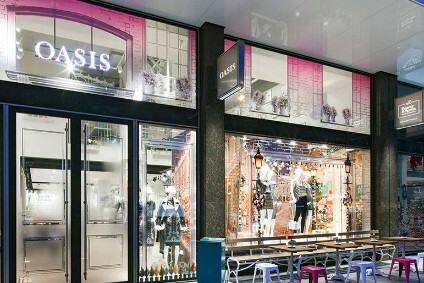 Icelandic bank Kaupthing has declined to comment on reports it is looking to sell off UK high street fashion retailers Coast, Oasis and Warehouse. The bank was nationalised during Iceland's 2008-2011 financial crisis, with its domestic operations spun into a new bank known as Arion Banki, while all non-Icelandic assets remained with the now defunct Kaupthing, according to Reuters. Kaupthing acquired the three clothing brands in 2009 from Mosaic Fashions, which went into administration after shareholder Baugur collapsed in the wake of the crisis. Sources told Reuters that Kaupthing invited banks to pitch late last month for a mandate to auction the retail assets early next year, but that a sale could be worth less than GBP100m (US$124m), with interest likely to be drawn from private equity funds. Reykjavik-based Kaupthing, which filed for bankruptcy in 2008, declined to comment on the reports. Reuters says administrators are also looking at options for upmarket fashion brand Karen Millen.